you can also check out what my writing looks like when I try to be professional and all that jazz. I was totally not ready for today to be Monday. Overall, it’s not been a bad day. No Terrific Tuesday, but not a bad day. FH and I had wine and noshed with some friends of ours tonight, and it was just what the doctor ordered to fix my mediocre Monday blahs. 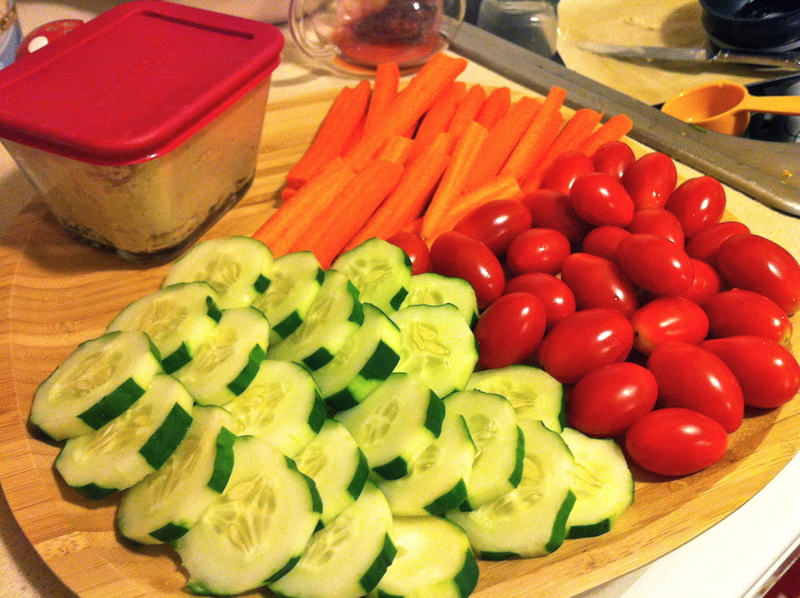 Making a veggie and hummus platter the size of a small child might have helped, too. Holy yum, Batman! You know what else that doctor ordered? An apple a day, to keep him away. Of course! Vegan and Parve, depending on the butter you use. 1 tablespoon butter, margarine, etc. Preheat your oven to the magical baking number, 350°. 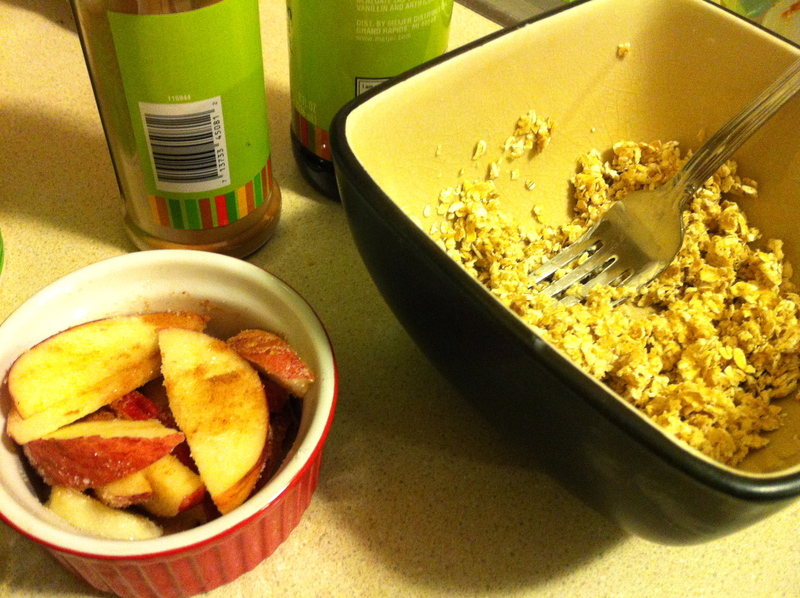 Mix the apples, granulated white sugar, and cinnamon together in a medium sized bowl. 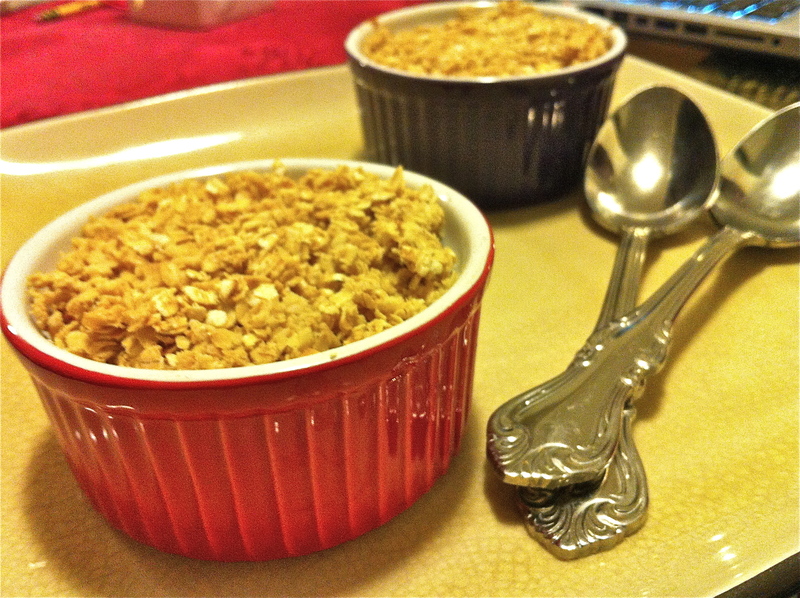 In a separate bowl, mix the quick oats and brown sugar together. Cut the butter into the quick oats/brown sugar mixture. 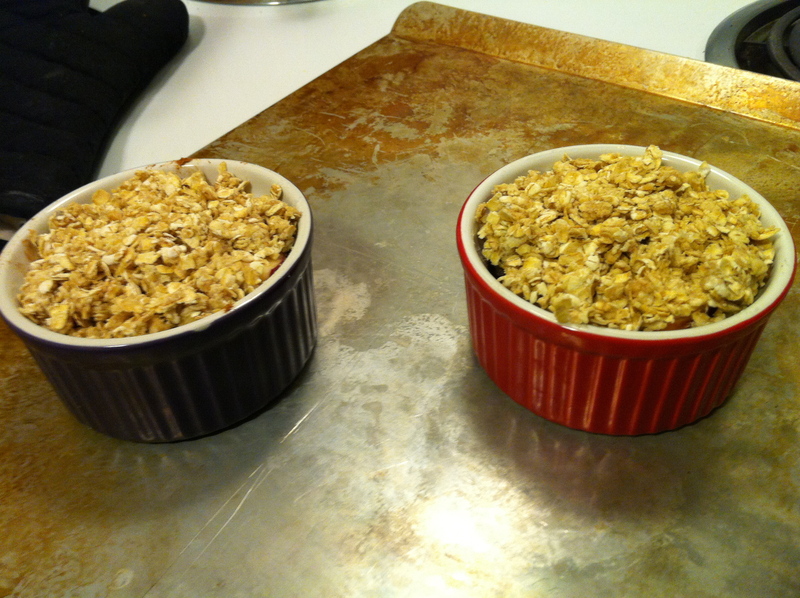 Top the apples with the oat mixture, making sure to cover them evenly. Place the ramekins on a cookie sheet and bake in the middle of the oven for 12 – 14 minutes, until the topping has begun to turn golden. I hope this helps get your week off to a sweet start as well! What’s your fail-proof way of making sure your Mondays turn out great? Mine is to play happy, fun music while getting ready in the morning. Yes, I am that person who still sings into her hairbrush. I think FH has a new reason to ask if I’m okay!